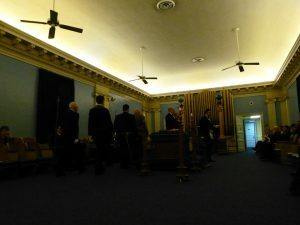 Palestine Lodge Meets the 2nd and 4th Thursday of the Month at 7:30 pm. We welcome visitors. *Please note: the Lodge is at recess in June, July and August. Are you a Regular Master Mason and like to visit, we would love to have you join us for an evening. To learn more about our Lodge, location, and meeting times please contact us – so we may properly prepare for your visit. Look forward to seeing you soon.